WeatherTech® is an industry leading vehicle accessory manufacturer, offering premium-quality floor liners, mats, cargo and trunk liners, window deflectors, and other products to protect the interior and exterior of your vehicle. All products are extensively researched before production begins to ensure maximum durability and protection. C-Thru Window Tinting is an authorized dealer and installer of WeatherTech® FloorLiners™, WindowTech® Floor Mats, Cargo/Trunk Liners, Window Deflectors, and other accessories. 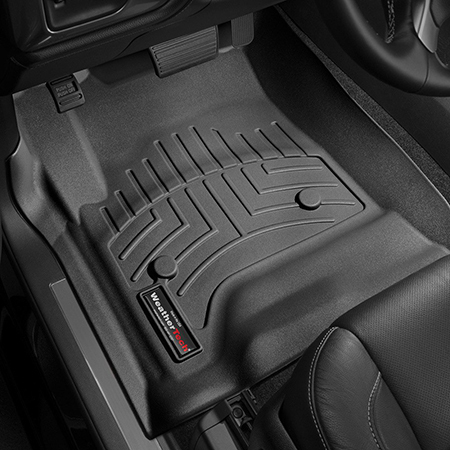 WeatherTech® FloorLiners™ offer optimal protection for your vehicle’s carpet. They are contoured to line the front, side, and back of the footwell. Reservoirs are designed to contain debris and liquids from moving around in the liner. Once trapped in the reservoir, the debris and liquids can be removed over the door sill. C-Thru Window Tinting provides professional installation of these floor liners. Digital laser measurements of interior surfaces ensures a consistently perfect fit. The stock floor mats that originally came with your vehicle might not be as durable and weatherproof as you want it to be. In contrast, WeatherTech® Floor Mats are designed to protect your vehicle’s carpet from the elements. They trap water, mud, sand, and other materials within the deep channels designed and sculpted specifically to protect your car’s floor. Anti-skid ridges are also included to keep your mats securely in place in order to provide protection at all times. In addition, WeatherTech® Floor Mats do not emit an odor, include a non-stick coating for easy cleanup, and are manufactured with the highest-quality materials that will not crack, curl, or harden in any weather condition. Black, tan, and grey mats are available and are designed to fit a wide variety of makes and models of cars, SUVs, trucks, and minivans. WeatherTech® Cargo/Trunk Liners are the toughest and most durable weather resistant liners for your vehicle. 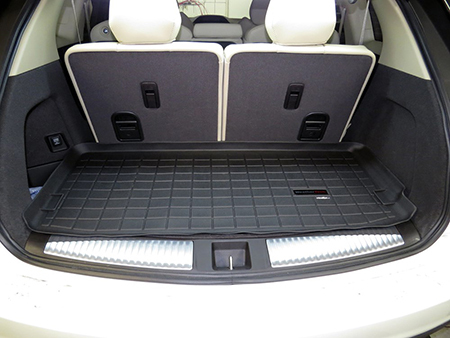 With a raised lip to contain spills and soil from affecting your trunk and cargo areas and a textured finish that helps keep your cargo secure, we confidently recommend WeatherTech® Cargo/Trunk Liners for a variety of applications. 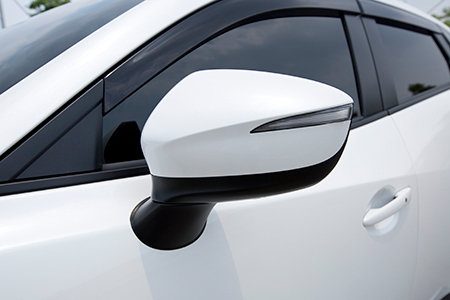 WeatherTech® Side Window Deflectors are custom fit for your vehicle’s window channel. Installation is fast, secure, and does not require the use of exterior tape. Only the finest light and dark tinted 3mm acrylic materials are used. As an authorized dealer and installer, you can purchase all your WeatherTech® products directly from C-Thru Window Tinting. Please contact us at (808) 326-5844 or fill out our submission form to place an order or if you have any questions.